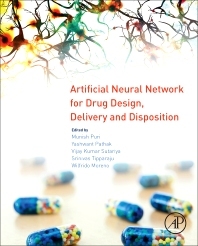 Artificial Neural Network for Drug Design, Delivery and Disposition provides an in-depth look at the use of artificial neural networks (ANN) in pharmaceutical research. With its ability to learn and self-correct in a highly complex environment, this predictive tool has tremendous potential to help researchers more effectively design, develop, and deliver successful drugs. This book illustrates how to use ANN methodologies and models with the intent to treat diseases like breast cancer, cardiac disease, and more. It contains the latest cutting-edge research, an analysis of the benefits of ANN, and relevant industry examples. As such, this book is an essential resource for academic and industry researchers across the pharmaceutical and biomedical sciences. Industry and academic researchers working in the pharmaceutical sciences, including those involved in computational drug design, drug discovery, drug delivery, biomedicine, neuroscience, bioengineering and bioinformatics. 2. Why Are ANNs, Modeling and Simulation of Drug Transport Useful?